Phish just announced on Monday, February 26 that they will be continuing their festival tradition this summer, Curveball to reel us phish in for three days of nonstop tunes. Curveball will be the band’s 11th music festival and will take place August 17-19, 2018 at Watkins Glen, New York. 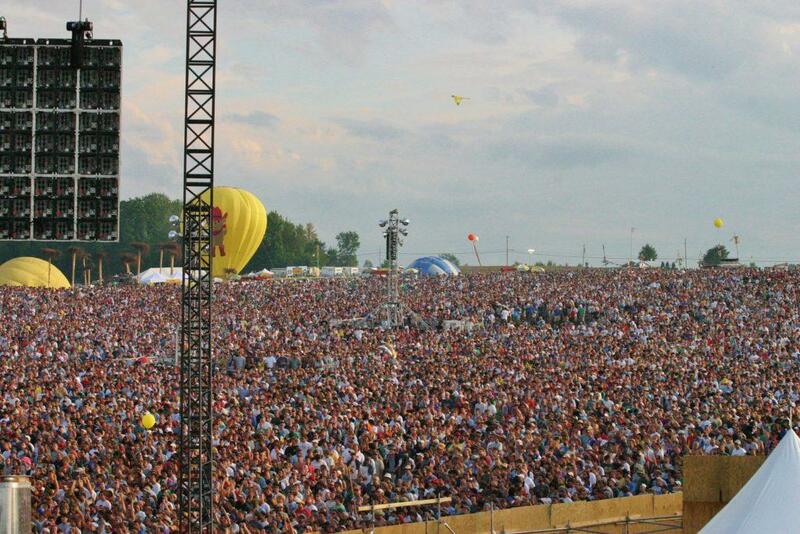 Curveball is estimated to bring around 40,000 people from around the world. Tickets will go on sale this Friday, March 2 at 12 p.m. for $250 with an additional car camping fee of $60. This will give fans eight sets of Phish over the course of three-days with full access to the camping grounds. This year at Curveball, the festival provides phans with shade and mist tents, free showers, a Farmer’s Market, cell phone charging stations and drinking fountains to fully accommodate every attendee. Since 1996, Phish has hosted 10 very successful music festivals around the country that bring anywhere between 30,000-75,000 fans together. Unlike other music festivals that have multiple stages with an array of bands, Phish is the only band to perform over the weekend. And each year’s festival brings phans together from around the country for two or three days of non-stop music. In 1996, The Clifford Ball was a Phish music festival that took place in Plattsburgh, New York. An astounding 70,000 fans attended the two-night festival and heard seven sets, deeming it the largest rock concert in the United States that year. The following year in 1997, Limestone, Maine played host for the second annual festival, The Great Went. A great 70,000 people attended, resulting in it being the top-grossing concert in the United States that Summer. Thousands of fans created art over the weekend, which were then attached together with the band members’ artwork. The artful tower was burned down in a great celebration. In 1999, the fifth Phish festival, The Big Cypress took place at the Big Cypress Indian Reservation in southern Florida. A massive 85,000 crowd gathered for the eve of the millennium on December 30 and 31, claiming it a spot as the most popular Phish show ever in the Pharmer’s Almanac. The band played non-stop for seven-and-a-half hours, deeming it a peak moment of Phish’s musical career. Four years went by until the sixth festival, It, was celebrated in Limestone, Maine in 2003. A classic 60,000 fans attended the seven-set festival over the two days. Said to be the final performances of the band, Coventry was the seventh music festival Phish hosted in 2004 in Coventry, Vermont. A vast 68,000 people attended to witness the band’s final performances before their reunion again in 2009. The festival was shown to thousands of people in movie theatres across the United States due to an unexpected flooding that sunk the festival grounds in a sea of water. The water didn’t seem to bother the dozens of phans that still decided to attend! In 2009, Festival 8 was announced to take place in Indio, California and brought in 40,000 people for a marvelous eight-sets that took place over three days. What would a festival be without serving the crowd coffee and donuts before the acoustic set? The rolling hills of Watkins Glen International in New York took the center stage for Super Ball IX, making Phish’s ninth festival and the first show played at the venue since 1973. 30,000 people enjoyed seven sets throughout the weekend. A short three years ago saw the revival of Watkins Glen International for Magnaball, the tenth festival that contained seven sets and a large drive-in movie screen with visuals of the band during their performances. This sold-out festival greeted 40,000 phans from around the country. There is no doubt that this year’s Curveball festival will be the summer’s biggest and most cherished festival with people all around the country attending. I’m very curious to see what shenanigans Phish will plan for their biggest event of the year and all the crazy mischiefs that will occurs by phans from around the world.